I just realised that the Signature plugin did not had his own conversation, so here goes! Configure the max amount of characters allowed in a signature. Works beautifully together with the Likes plugin. Or standalone if the Likes plugin is disabled. Show your awesome signature to the world! · Toby, KnownSyntax, Raymond and 1 others like this. Released v1.1.3 which adds bbcode formatting inside your signature! The plugin is insecure! Please update @Tristan ! @openguy The plugin is insecure! Please update @Tristan ! You mean of you create signature with <script>alert()</script> - it works? Feel free to clone and update the plugin to fix any issues you may have with it. I will gladly receive a pull request. Any updates? Testing this on the latest version of esoTalk and the bbcodes do not work. (Browsers tested Comodo Dragon/Google Chrome/Fire Fox/Opera and none work.) But some html does work. PLZ: Can this plugin get fixed and updated to work with the latest's forum update? @Tech PLZ: Can this plugin get fixed and updated to work with the latest's forum update? Nothing written beside Signature plugin? @Tech Nothing written beside Signature plugin? Download this one then unzip in plugins. wow, it works now (Thanks)... nice job what did you actually do just now to update it? @Tech wow, it works now (Thanks)... nice job what did you actually do just now to update it? Actually what most of the plugins that are out now need is pretty simple that anyone can do it. 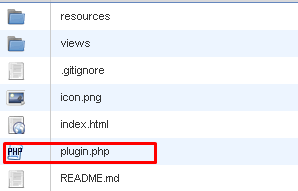 If the plugin.php line has "get" in front of "resource" then remove "get" then save. Please submit a pull request on GitHub so I can include your fixes for everyone! Bumped to v1.1.5 to fix the styling when no signature is set and to restrict signature output in settings to max characters allowed. Not a big deal, but it may help other git newbies like me. But the issue I had is that with g4 of a new install of esotalk, I wasn't seeing the BBCode appear in the forum itself with the default install. The result of tags ([img] etc) showed in the Signature settings page in the Edit Profile area ... but it just appeared as text with tags around it at the bottom of each post. For some reason, when I changed the permissions of plugin.php in the Signature directory to 644, suddenly it worked (it was 755). Now to check it, I put it back to 755 and it still works! What the?! Maybe some strange cache thing. Hi @James North, thanks for the feedback. I will update the README.md asap! · James North likes this.